Correct maintenance of a swimming pool requires a balance in chemical and pH levels to prevent further issues such as algae and bacteria growth. Floating particles get inside the pool and they must be removed through skimming of the pool surface. We provide pool cleaning and skimming services via specialized equipment like pool skimmers. By talking to us through (925) 269-9399, you will be making your first move towards achieving a long-lasting and healthy swimming pool. Skimming the pool surface is the initial stage of cleansing a pool. We do this even before brushing or vacuuming. We encourage our clients to do this job every day if the pool is near trees where branches fall indiscriminately. Debris should be removed as soon as they land on a pool to keep them from getting to the bottom where they encourage algae growth and pool staining. Skimming removes all debris from the water pool surface. Our skimmers come with automatic chlorinators and water level controls. We discourage adding chlorine to skimmer baskets, which most people claim that the method speeds up the skimming process. High concentration of chlorine can deteriorate the condition of the filter. We provide all types of skimmers from in-ground pool skimmers, above-ground skimmers, to dynamic robotic skimmers. 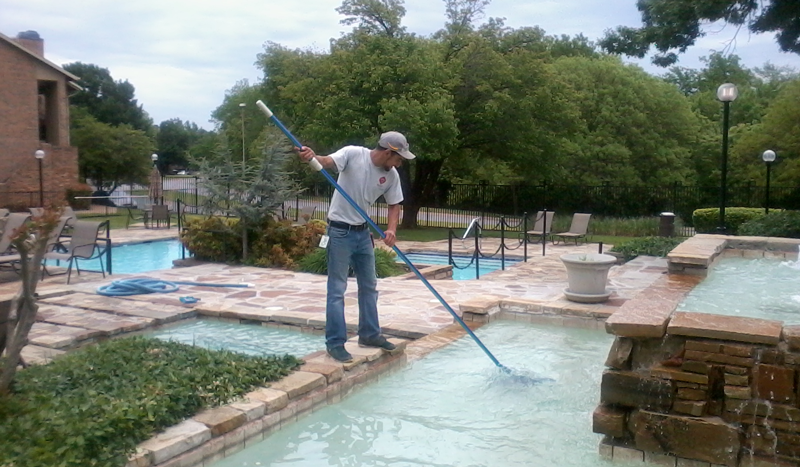 Before using any scrubber, we fist determine the type of pool surface we are dealing with. We apply the right tools for the right pool liner to avoid any mishaps. We skim the surface once again after scrubbing. If food debris, hair, bugs, tree leaves, oils, and other particles fill your pool surface, skimming is the solution you should be looking for. We also provide skimming services for hot tubs. Call us anytime you need the dirt to be removed so that your swimming area remains clean and beautiful. We will make your work easier through professional pool skimming.